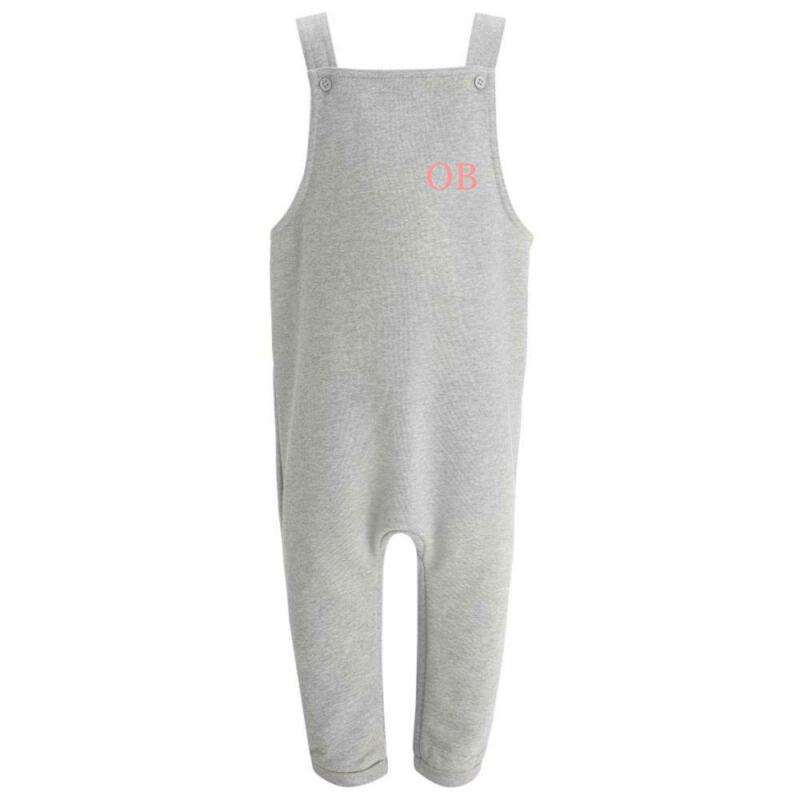 Your hand printed Pinafore Dungaree will keep your Little Squidge super comfy, warm and stylish all year round! Our Pinafore Dungarees are provided to us from a trusted and established supplier and designed and printed in house. Many colours of vinyl/print to choose from! Our Pinafore Dungarees are described 60% Cotton / 40% Polyester and are Fleece lined. They benefit from 2x buttons on the front and you can choose to cross over the straps or have them un-crossed. 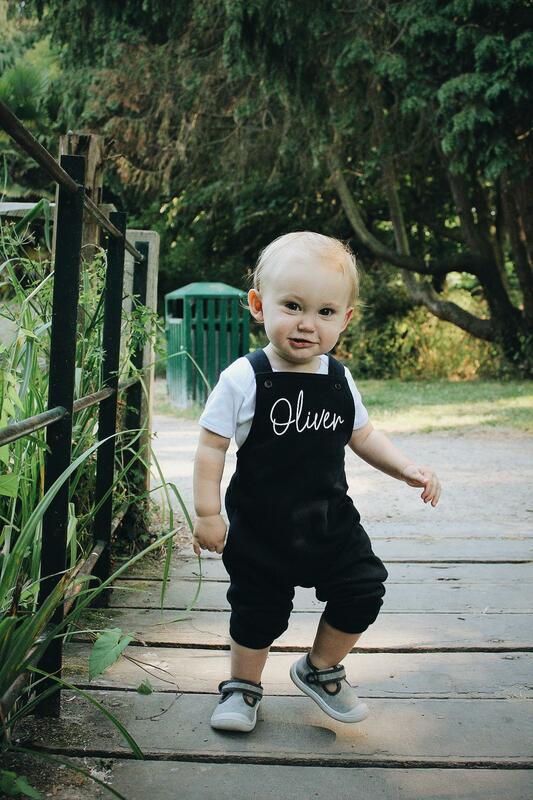 The Pinafore Dungarees are not cuffed at the ankle however we ensure maximum comfort and long lasting wear as you can roll them up if they appear a little long or if you desire the cropped look. Your P/Dungaree also has an elasticated back/waist band at the back. With a little pocket on the bottom, your Squidge can either bring a little toy with them on their travels or keep their hand toasty and warm in the colder months. SIZING: THESE DO COME UP SLIGHTLY BIG, NO NEED TO SIZE UP. OLLY IS WEARING 12-18M AND IS 15M OLD.